...... Plan for the Day, Week, Month in any given Year. Print the recipe titles as a Calendar to hang on your refrigerator, then print the recipes and optional shopping list. Shopping lists are made by checkmarking the needed items, add non-food items, combine items, even mark the Store, Department and Aisle of where you want to buy the items. Shopping lists save you a lot of time because they're printed by Store and Department making shopping really fast. Lists can be printed or emailed (maybe emailed to your spouse for pick-up on the way home). The Recipe Browser displays your recipes as Cookbooks, or by Category or Alphabetically making them very easy to organize and group. 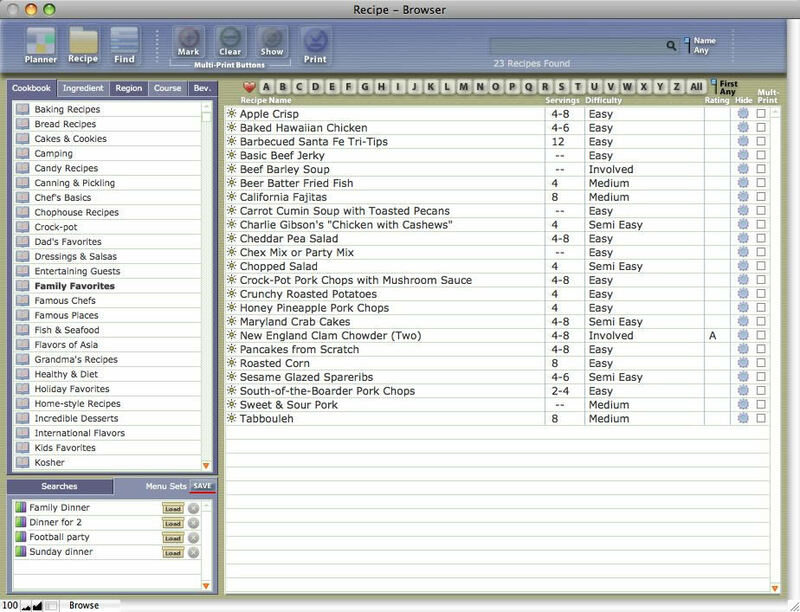 Groups can be saved and recalled later using the "Menu Sets" feature. Qweas is providing links to Cookware Deluxe 4.2 as a courtesy, and makes no representations regarding Cookware Deluxe or any other applications or any information related thereto. Any questions, complaints or claims regarding this application Cookware Deluxe 4.2 must be directed to the appropriate software vendor. You may click the publisher link of Cookware Deluxe on the top of this page to get more details about the vendor.